For more than 25 years, Dr. Curtis Imel has focused on giving his patients high-quality orthodontic care with superior aesthetic results. He appreciates the positive effect that braces and orthodontic treatment can have on his patients’ lives, and feels fortunate to have the ability to help people improve their appearance and outlook on life. Dr. Imel enjoys all aspects of orthodontics, from research and continuing education, to working with people of all ages and getting to be part of such a life-changing experience. Dr. Imel is dedicated to providing the best orthodontic care for his patients. His commitment to continuing education makes it all possible. He participates in numerous continuing education courses, including American Association of Orthodontists and Illinois Society of Orthodontists meetings, and has attended the Kois Center for advanced dental education. 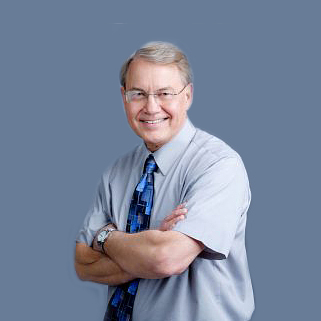 A native of Earlville, IL, Dr. Imel has made Ottawa, IL his home since 1982. He and his wife Donna have seven children, five of whom are adopted. Dr. Imel’s free time is focused on his family: he spends as much time with them as possible. He enjoys fishing and playing golf, and is active in church and school activities.